Back from 1999-2002ish we'd hang out down there on occasion in the Summer. 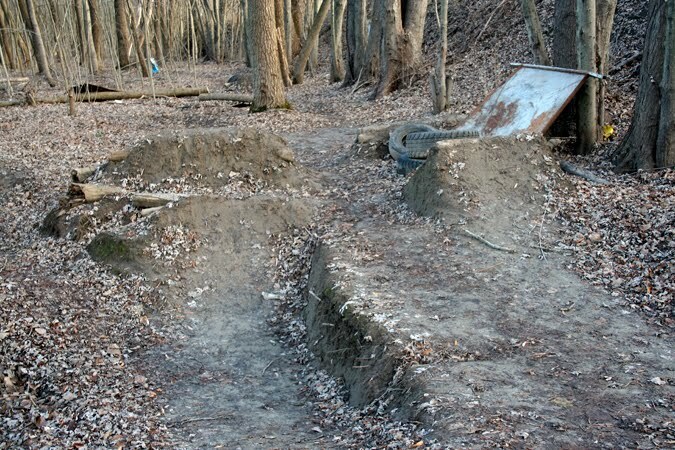 The jumps used to be so much bigger and we built. 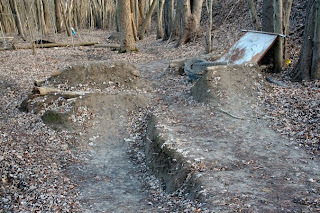 The stuff down there is so shady and small now, but it's good to see kids are riding!